Savera Digital, one of the fastest growing IT distribution house in India becomes premium PAN India distributor for award-winning product manufacturer ASRock Inc. 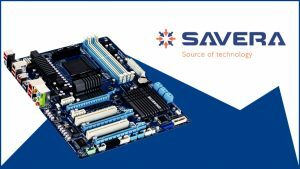 This partnership will bring together Savera’s great distribution network to deliver ASRock’s AMD range of motherboards. This distribution tie-up will strengthen the company’s foot-hold in the motherboard segment in the IT arena and will increase geographical reach for ASRock. The main objective behind this tie-up is to grow the business volume and to achieve objectives of deeper penetration in non-metros and untapped cities. Speaking on the announcement, Mr Manoj Kriplani, Country Manager at ASRock Inc, Taiwan, said, “Savera Digital India Pvt Ltd is a trusted name in Indian IT distribution system and is one of the fastest growing distributors in India. With this tie-up we are looking for enhanced focus on value products & the build-up for DIY ecosystem. Our AMD market share continues to improve as channel & customers are looking for quality products and ASRock is known for bringing out the best of the motherboards which can fulfill customer requirements”. Mr Gopal Pansari,Managing Director at Savera Digital India Pvt Ltd. said -“We thank ASRock for appointment of Savera Digital for its AMD Range of motherboards. Savera has always partnered with the best Global brands and we continue to grow year on year by providing the best of the products and services to our customers and partners. We are in our 18th year of journey. Today we pride our self with a partner base of 5000+ partners across 600 cities in India. He further added, “Our experience in the component sales & marketing and our strong partner network will compliment the addition of ASRock AMD range to our portfolio. We have 14 branches effectively covering A, B, C & D class of cities across India. These are the cities which have a good DIY market for AMD-based computing solutions. We are confident of adding a lot of value to the ASRock brand”.